Access to actionable insights is essential when managing a global, mobile, and distributed modern workforce. This requires a new set of analytics that reflect how workers are communicating, enabling organizations to precisely understand employee engagement anywhere in the world. At Dialpad, we understand that knowledge is power. 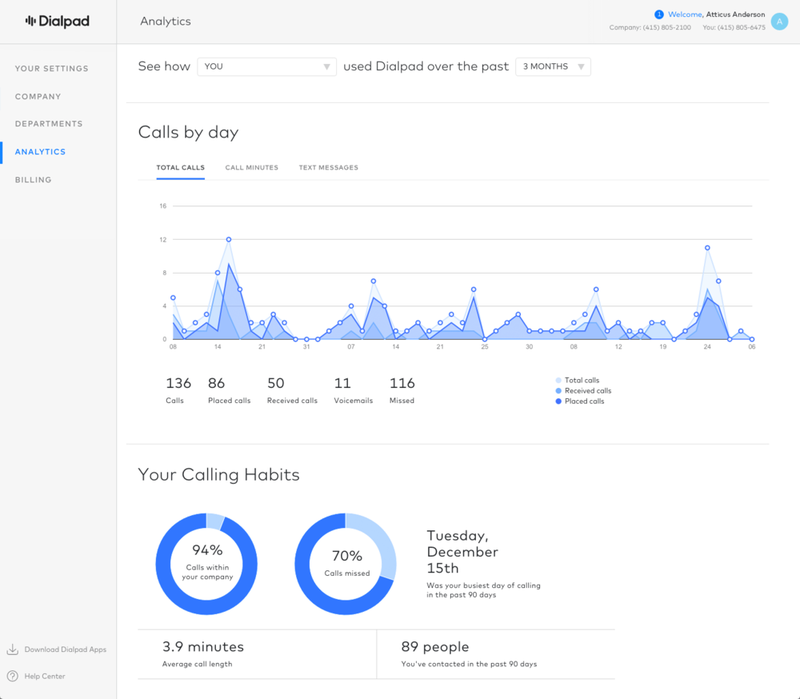 So we’re pleased to announce Dialpad Analytics, a new feature that delivers remarkable insights for both administrators and users. Top Filter Section: Displays each user's own data. Filter data across the office to include the past 7 days, 30 days, or 3 months. Graphical Display: Display the number of received, placed, and total calls plotted over time. Toggle to display total minutes or total messages sent. Calling Habits: View the number of internal vs. external calls made to the company, the number of missed calls, the average call length, and the number of unique contacts. Additional Admin Reports: Access additional analytics by filtering data for the entire office. 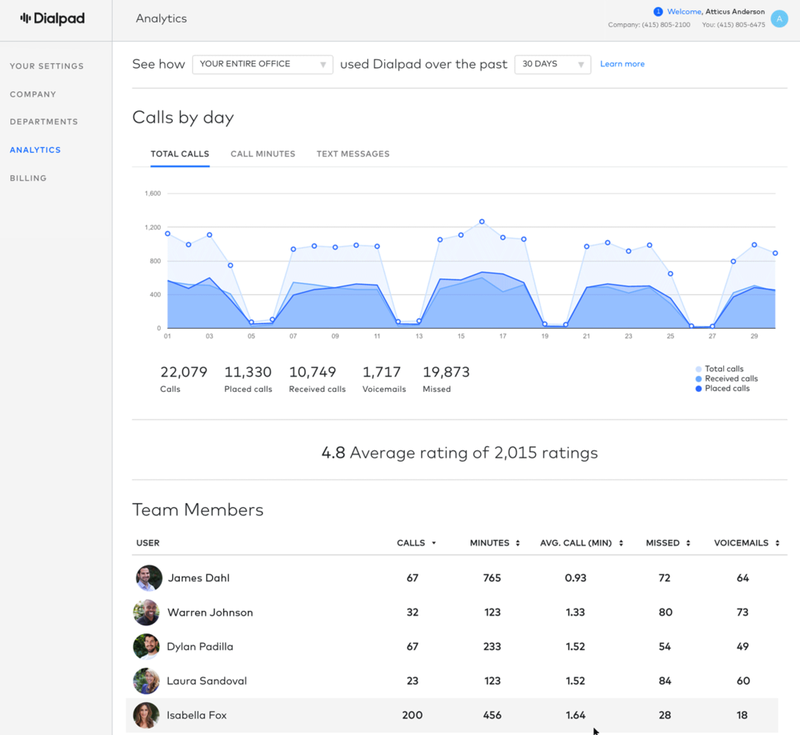 Learn more about Dialpad Analytics and how it helps you finally learn the truth about your business communications. For a full features breakdown of Dialpad, get the inside scoop here.